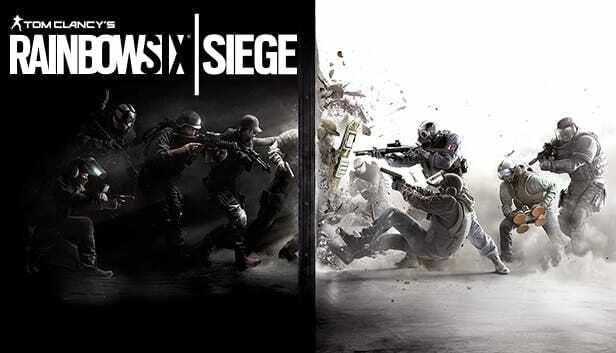 Rainbow Six: Siege is the 18th iteration of the Rainbow Six franchise, which has been stagnant as the last iteration of the franchise was released in 2008 on consoles.Rainbow Six: Siege is an upcoming game which is set to be released on December 2015, and it is priced at $59.99 for its regular edition and $89.99 for its deluxe edition. We usually don’t review the pay-to-play game, but this time we make an exception. Ubisoft decided that from September 22 to October 4 would be the best time to showcase the gameplay of Rainbow Six: Siege and had a closed beta. So was the closed beta good? Graphics are great, it feels next-Genat least and there are little to no low textures found on the map, at any rate, it is not really noticeable. There are three to four maps available in the closed beta, and it fell short since the vicinity of the map is so small, and the only focus is the main building, whether it is a house or a terrorist base, and you have to breach inside it, but the level design is great, it is not linear in any way. Anything you do to breach inside the building is entirely your choice. The walls and floors can also be destroyed in Rainbow Six: Siege, and that is one of the unique features of the game, its destructiveness. This paves the way to a new level of gaming experience as every match will never be like the others since there are several ways to do it. Wall can also be destroyed and you can try to shoot through it. The server is very stable, there are few crashes here and there, but it is very rare, though some people complain about not having the game opened at all during the beta, which is sad because they missed a good closed beta. There is no noticeable lag even at 250ms, which is great for the first-person shooter. Though you can get automatically kicked once you reached a threshold, which is 600ms-800ms.Match length takes up to a minimum of one minute to a maximum of 4 minutes, which is sufficient for a game with a small map, and only one objective. Renown is used as currency on Rainbow Six: Siege, which you can buy operatives, they are basically special characters with a unique skill, so it is handy to get most of them since it is a one is to one relationship for each match, there cannot be a duplication of operatives. Anyway, you can also use renown to buy accessories for the operatives’ guns you have, it is currently very limited like grips, silencer, and laser point. There are also skins but they are too expensive. Operatives are a little bit unbalanced though, especially the shield, as it is hard to kill someone with a shield in a cramped space, you cannot outmaneuver him. Rainbow Six: Siege closed beta showcased their two modes. Terrorist Hunt is a Player vs Enemy mode, wherein you can do it solo or in five (4 teammates), it is like wave clearing in which you have to kill all the terrorists within the vicinity. The mode is pretty fun, especially if you are having voice chat with your squad. The AI for this mode is actually decent too, they may be a little deaf, but they are not too dumb. They can be sneaky and good too, especially if the difficulty is cranked up the highest. The multiplayer mode is an objective-based which you only have one mission, either you defend the objective (defender) or you retrieve the objective (attacker). Being a defender, all you do is barricade and putting traps to all the possible routes to the objectives and trying to reinforce all walls so they do not explode or break when the other team, the attackers, set it off with charges. The defending team is most likely camping and waiting for the other team to come which brings up the tension, though you can check the cctvs so you can see where the enemies are, the vision is too limited to be confident. The attackers, on the other hand, have to use drones to find the objectives, otherwise, they are blind and will be looking for it as it will not be indicated in the mini-map. Like on the terrorist hunt, which both use and utilize the same map, there are several ways to go inside the building. It is either a Deathmatch, or the attackers completed their objective, which is actually rare to see. The only bad thing about this mode is the troll, it is very rare to encounter one, but they’re the most annoying bunch to encounter as it ruins the whole experience and round since you cannot respawn in around and the friendly-fire is on. Both modes encourage you to cooperate with your teamwork, and if you have a mic, you are encouraged to have a voice chat since it is a lot easier to do things with them, it would be a huge help in each round. – The tension build-up is good. – Several operatives to unlock. – Friendly-fire is okay, but not with a troll. Rainbow Six: Siege Closed Beta was a blast, and it really helped when Ubisoft extended the beta for another week. It was an amazing beta if only the game would be much cheaper, then it would be worth it. Hopefully, they can add more modes and maps when they launch the game in December 2015 and continue on creating patches to make a great competitive game.